An International Driving License or an International Driving Permit (IDP) is a document (card) that gives you the license to drive a vehicle in a foreign country. Just as a driving license is essential to drive on Indian roads, an IDP is required to drive in certain countries. 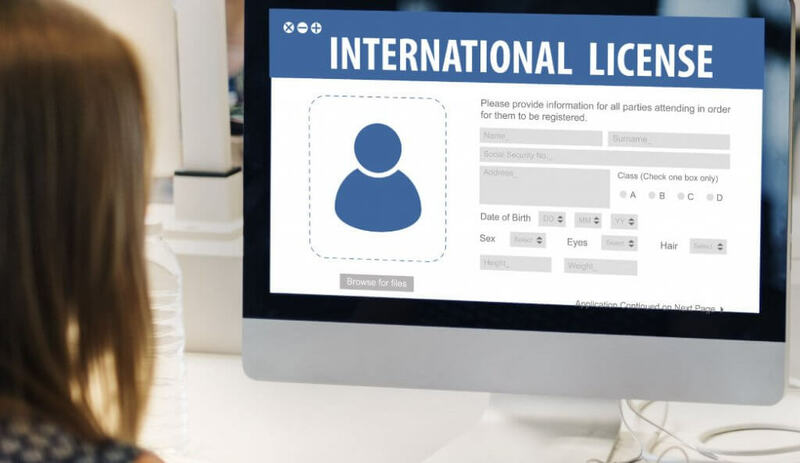 It is an international driver’s license and the process to apply for an international license is similar to that of applying for a national license. Read ahead to know details about this international driver’s license. An IDP essentially is a multi-language translation of the driving license received by you in your own country. If the information written on your driving license is in English, an Indian driving license might be enough for you to drive a vehicle in certain foreign countries. This depends upon the type of Visa you are granted and the duration of your stay. For countries that do not allow this, you need to check if they are a part of the 1949 Convention on Road Traffic. If not a part of the said convention, they must at least recognize the international permit. An IDP must be supported by your existing driving license. If the country you are visiting doesn’t fall under any of the above-mentioned type, you need to contact that country’s authorities and know details about the procedure followed by them regarding an IDP. In any case, you must follow the law of the land and basic safety measures when it comes to driving in a foreign country. Where to apply for an IDP? Listed below are three options from where you can apply for an IDP. Your local RTO is the place to go for everything related to your vehicle and license. Just as you approach your local RTO for a driving license, you can do the same for an IDP as well. You can also apply for an IDP through an authorized automobile association. Mostly, you will have to become a member of the association to do so. The membership fees are nominal and include several benefits. For example, you can get a discount on your insurance premium if you are a member of an automobile association. Make sure to check the benefits and decide if they are beneficial for you before becoming a member. ITCA is a non-governmental virtual association. IDP issued by ITCA is recognized by major car rental companies. ITCA claims to complete the IDP process within two days. Their application process is simple and shipping is convenient. You can go for any of the above options as per your convenience. An IDP is also a proof of identity. Probably, it is the most important identity proof in a foreign land after your passport. Thus, it is important to disclose accurate information while filling the IDP application form. You will need to submit photocopies of your existing driving license along with the application form. Certain address proof might also be demanded by RTO and automobile associations. The documentation process at ITCA is entirely online. It will be extremely difficult for you to rent a vehicle without a valid driving license in a foreign country. Also, it can be catastrophic if you are caught driving without any driving license in a foreign land. This can attract hefty fines and may lead to stricter punishments such as imprisonment as well. If you cause an accident and do not have a valid driving license, then the insurance companies will not be able to help you out. Driving without a valid driving license needs to be avoided in India as well as in other countries.